Disobeying means incurring Allah’s displeasure. However, we know that Allah is the Most-Merciful and the Most-Forgiving. Due to His kind nature, Allah has provided us the opportunity to make up for our mistakes and “turn back to Him” by having us ask Him for forgiveness. Asking for forgiveness is called repentance. 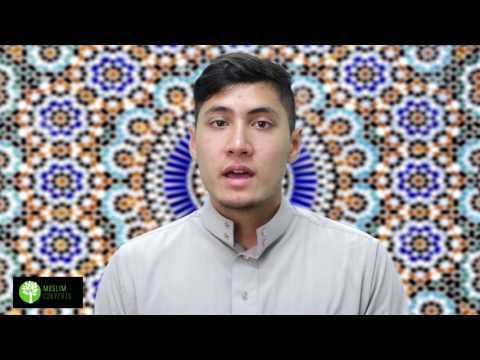 In this lesson, we will go over what it means to ask Allah for forgiveness and to repent, and the different kind of ways through which we can go about in acquiring Allah’s forgiveness. There are also other forms of repentance in Islam. Shafaʿah is one of them. Shafaʿah means intercession on the Day of Judgment. On the Day of Judgment, there will be a group of people who will be condemned to hell. However, through the intercession of the Prophet, the Imams of the Ahl al-Bayt (as) or other righteous people, where they will ask Allah to forgive these people who are bound to hell, and Allah may forgive them. Here is an important question, Allah doesn’t need people to intercede in order to be merciful. Remember that as people who are faithful to Allah, we are all one community. When we come together as a community, even on the Day of Judgment, in order to vouch for one another, we display great forms of compassion. This kind of compassion, especially coming from the righteous among Allah’s creation, is something that is very pleasing to Allah. Repentance, however, is not just restricted to this world. Allah gives us the opportunity to repent sincerely in the grave, on the Day of Judgment, as well as in hell. But this point here needs to be expanded upon. Let’s first start with repentance in this world. Just merely saying astaghfurallah (God forgive me) is not enough. Tawbah is to return to God, which means that one must sincerely regret what one did and do one’s best to put a stop to that sin. In other words, tawbah, for it to be fully complete, must come about through a change of heart. On the Day of Judgment and in hell, there will be many people who will ask Allah for forgiveness. But as the Qur’an teaches us, their repentance is not sincere for if they were given the chance to live again, they would commit the same sins over and over again. However, if a person on the Day of Judgment or in hell has a genuine change of heart, then he or she will be forgiven on the Day of Judgment or in hell and will go to heaven. Repentance is therefore a state of being, and not merely an utterance of words. Islam teaches us that Allah loves the repentant sinner but dislikes the person who does good deeds but becomes arrogant as a result of it. What is full and complete repentance? What does tawbah literally mean? Is it enough to just say “God forgive me” after one sins? Does Allah forgive all sins? Can people who are in hell be forgiven?